Rachel Guymon joined the Titans staff in July of 2016 to start up the newly-formed Special Events Department at Nissan Stadium. Rachel‘s primary responsibilities include selling non-gameday event space within the stadium, executing contracts, and soliciting repeat business for annual events, including everything from small meetings to large concerts, and everything in between. As a liaison between the Titans organization and the Nashville Convention and Visitors Center, Rachel aids in drawing large tourism groups and conventions to the city of Nashville. Rachel is in her third season with the Titans in 2018, having spent the previous three years with the Houston Astros as an Account Executive in Special Event Sales. Before joining the Astros, Rachel spent one year in National Advertising Sales for Fox Sports Southwest, as well as completing a sales internship with the Dallas Cowboys. 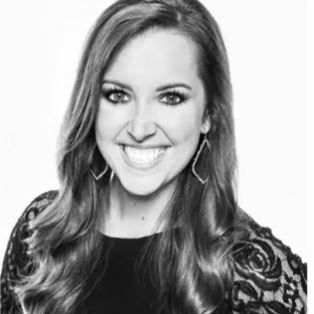 Rachel is a native of Colleyville, Texas, and graduated with a bachelor’s degree in communications and a minor in sports management from Texas A&M University. She currently lives in Nashville, Tenn. with her husband, Corey. Nissan Stadium, home of the Tennessee Titans– scoring memorable moments, providing world class views, and creating unique experiences, with a touch of southern hospitality in the heart of Music City. Nissan Stadium is home to Titans football, Music City Bowl, Tennessee State football, CMA Fest, numerous concerts, soccer games, and much more. In addition to full stadium events, the Tennessee Titans Special Events Department also handles 350+ private events annually.